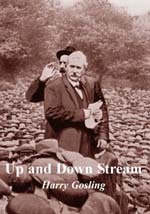 Our Trade Union Classics series started with Up and Down Stream by Harry Gosling. 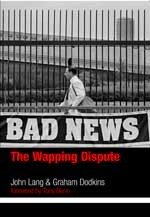 Bad News by John Lang and Graham Dodkins charts the Wapping Dispute that involved Rupert Murdoch's News International Limited. The title has received a number of reviews. 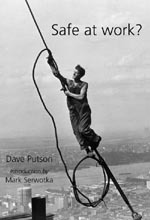 In his book, Safe at Work?, Dave Putson demonstrates that health and safety, far from being the product of a more litigious society or the political agenda of overbearing bureaucrats, is rooted in human need, protecting people. 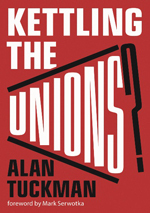 This very welcome book is intended to provide an analysis of the roots of the Trade Union Act 2016. Those roots lie in Thatchers legislation of the 1980s and further back to the undermining of collective bargaining in UK industrial relations that developed in the 1970s, in the context of neoliberalisms rise to dominance. The Trade Union Act was a transparent attempt to contain trade unions in the position they held before the turn of the 20th century. It has introduced draconian restrictions on the right to strike, and new restrictions covering balloting and picketing. It has also changed the rules on union political funds from the current opt-out system to an opt-in system, an anti-democratic attempt to reduce the ability of trade unions to fund not only political parties, but also a wide range of other non-party political activities. 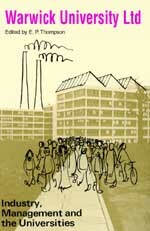 Mike Cooley's pioneering introduction to socially useful production and human-centred manufacturing systems, with a new foreword by the General Secretary of the TUC, herself an advocate of the lessons of the Lucas Plan for alternative production priorities. 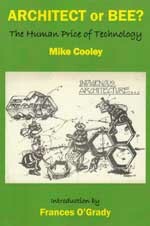 Years ahead of its time, Architect or Bee? is essential reading for all those seeking a democratic alternative to the politics of austerity. Although it was published in 1934 when the author was Principal of Ruskin College, Oxford, its great strength is that it still provides a multidisciplinary framework in which to consider how to progress further the matters addressed. It shows the need to campaign for socially useful systems in an era of exponential technological change, when the gap between technology's potential and its reality becomes a yawning chasm. This is indeed a tour de force and is written in a form that makes it not only accessible but a delightful read. It should be widely read and discussed, not least in departments of engineering and design, as works of this kind are surely as important as mathematical or machine theory. In February 1970, students occupying the Registry at Warwick University uncovered evidence of secret political surveillance of staff and students. There followed not only fierce debates within the university on issues of governance and democracy, but also a legal battle as the administration tried to stop the press from publishing the documentary evidence, and wider public debate on the purpose and values of university education. Warwick University Ltd will be of great interest to today's activists, because the conflict at Warwick clearly prefigures current struggles over the subordination of higher education to commercial goals, as well as political surveillance, policing, the use of legal injunctions, press freedom and business corruption. This edition includes a new introduction prepared by some of the original contributors, highlighting the links between then and now. 'This is an important time to write the history of health and safety in the UK, given the near derision that the term now evokes in the media and from the Government. What Dave Putson demonstrates in writing this book is that health and safety, far from being the product of a more litigious society or the political agenda of overbearing bureaucrats, is rooted in human need, protecting people. Today, there are desperate attempts to reverse those gains. Our Prime Minister echoes the worst of the 19th century's irresponsible industrialists when he says health and safety is an 'albatross around the neck of British businesses'. The burden to take reasonable and practical steps to ensure workers can come home at night is what Cameron objects to when he says he wants to "kill off the health and safety culture for good". Despite this supposedly rampant culture, the HSE records that around 175 people died in 2011/12 from injuries sustained at work while, according to the Hazards campaign, up to 50,000 die each year from work-related illnesses, including 6,000 from occupational cancers. Dave Putson is a trade union health and safety representative in the London Courts. This is the ePub version of Safe at Work?, which can be downloaded onto your PC, Sony eReader, iPad and iPhone. In January 1986, some 5,500 workers employed by four of Britain's national newspapers were sacked. The Sun, News of the World, The Times and The Sunday Times were all owned by Rupert Murdoch's News International Limited, and the bitter industrial dispute that followed was to last 13 months. Although generally referred to as a print workers' dispute, many of those sacked were not printers at all, but managers, clerks, secretaries, librarians, copy typists and messengers who were members of the Society of Graphical and Allied Trades (SOGAT). 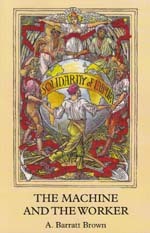 In the year following the dispute the authors of this book, themselves previously librarians at The Times and The Sunday Times and active participants in the strike, interviewed many of the clerical workers involved in an effort to document their experiences. Having spent more than a year recording these testimonies and transcribing the tapes onto the backs of discarded fast-food delivery menus using a portable typewriter (money was tight and paper expensive), the project was reluctantly abandoned, the victim of an acute need to earn a living. The manuscript gathered dust in a loft until, in 2009 (with the 25th anniversary of the dispute fast approaching) unemployment, ironically, provided an opportunity to finish the job. Bad News tells the story of an ordinary group of people thrown into extraordinary circumstances, and how those circumstances affected their lives. This is the ePub version of Bad News, which can be downloaded onto your PC, Sony eReader, iPad and iPhone. Harry Gosling was born in 1861. He left school at thirteen and was soon apprenticed as a lighterman on the River Thames. The great dock strike of 1889 engendered a rash of new unionism, and much activity within the old unions. By 1893, Gosling had been elected General Secretary of his Union, a full-time post. He was also extremely active in local government, becoming a member of the London County Council in 1904. It was in July 1910 that Ben Tillett, the leader of the Dockers' Union, convened a meeting of waterside unions to discuss the formation of the National Transport Workers' Federation. Harry Gosling was elected President. Ernest Bevin was soon elected to the Executive, after which he and Gosling worked very closely together. Eventually, the Transport and General Workers' Union was formed out of the multiplicity of unions constituting the Federation, and Gosling was its founding President. After several attempts to win election to Parliament, Gosling was finally victorious in a by-election in 1923, at Whitechapel. The following year the first Labour Government was formed and MacDonald appointed Gosling as Minister of Transport. He died while still a Member of Parliament, in 1930. All these adventures and insights, recounted in his own words in his autobiography, which has long been out of print, will resonate with new generations.